Congratulations on successfully posting your content! Now let's take a look at how they performed. The two metrics we are looking for and reporting on are Post Reach and Post Impressions. Reach refers to the total number of people who have seen your post (👥). If 200 people have seen your post, that means your post's total reach is 200. 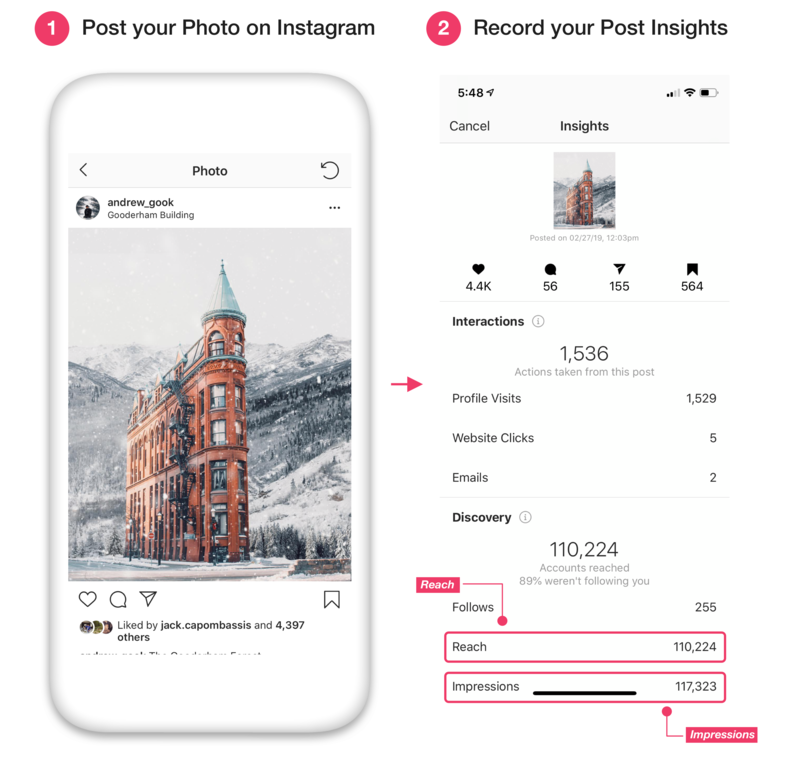 Impressions refer to the number of times your post has been displayed on a screen (👀). If your post from the previous example pops up on those people's screens 500 times, that means the total number of impressions for that post is 500. Record the views and impressions for each Story Segment you post by taking a screenshot. Make sure the "views" and "impressions" are visible in one single screenshot. 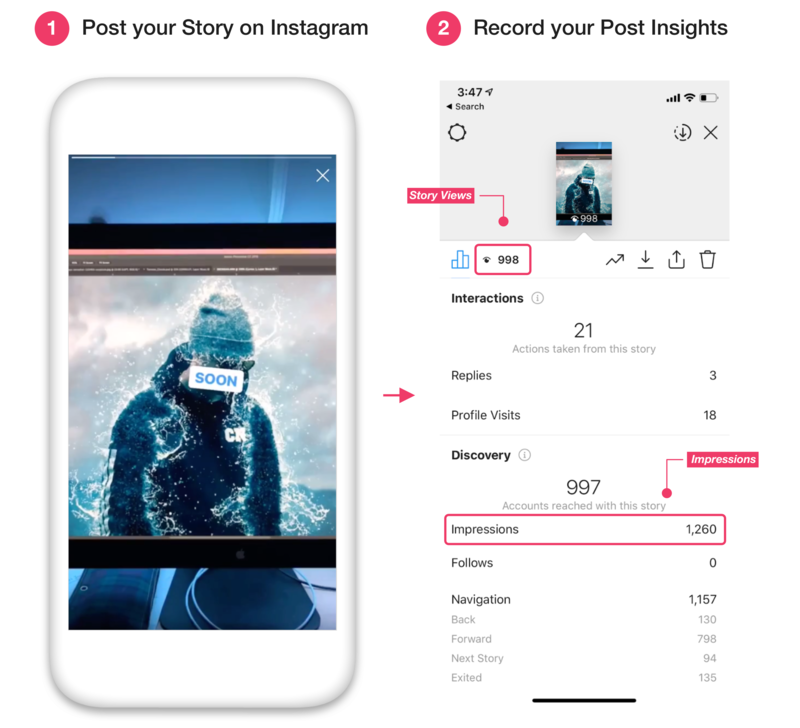 Record the reach and impressions for each Photo you post by taking a screenshot. Make sure the "reach" and "impressions" are visible in one single screenshot. 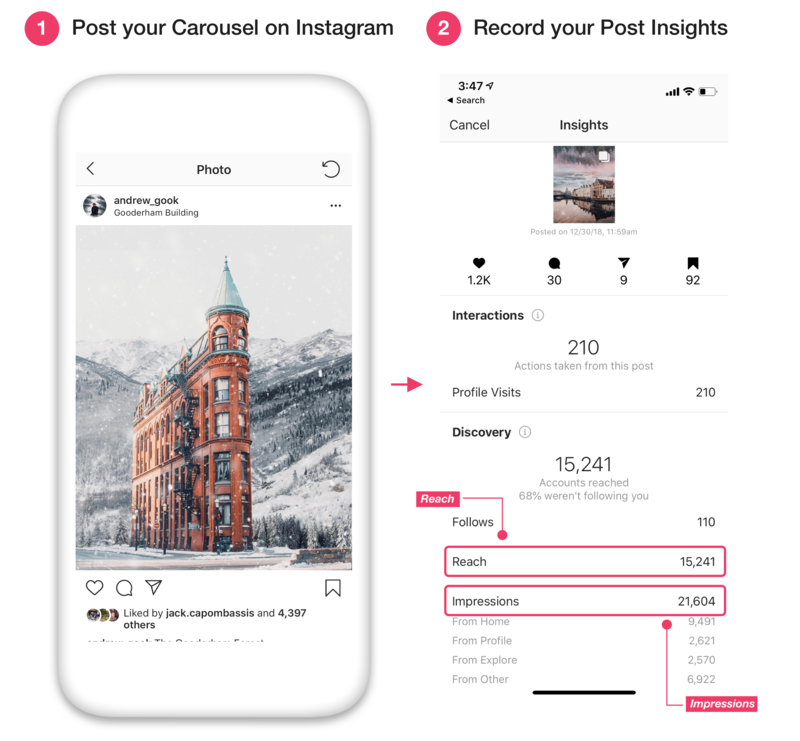 Record the reach and impressions for each Carousel you post by taking a screenshot. Make sure the "reach" and "impressions" are visible in one single screenshot. 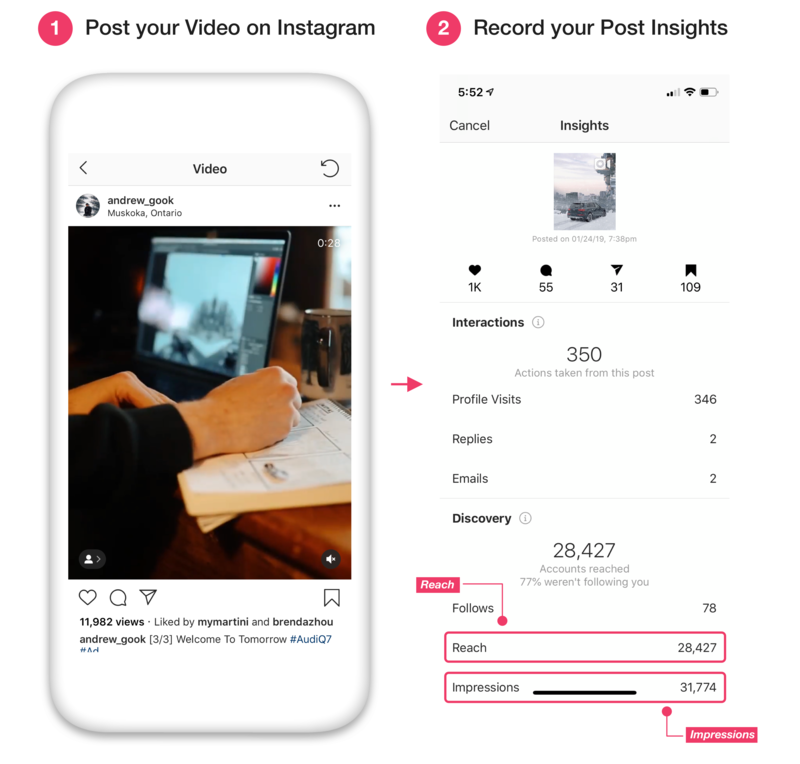 Record the reach and impressions for each Video you post by taking a screenshot. Make sure the "reach" and "impressions" are visible in one single screenshot.